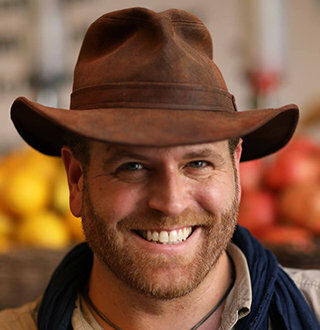 Expedition Unknown’s Star Host Josh Gates has never been too old for an adventure call. But now that he has a baby to call him dad, does he feel any older? The all-time adventurer is one of the favorite hosts to the audience who love watching Discovery Channel’ Expedition Unknown. The show is on its 4th season starting from January 2015, and it chronicles his global adventures as he investigates iconic unsolved events, lost cities, buried treasures and other puzzling stories. But, Expedition Unknown is not his first adventure gig as he has been a host to Syfy Channel series Destination Truth in which he unraveled some of the world's mysterious and unknown places. He even authored his first book, Destination Truth: Memoirs of a Monster Hunter in 2011 enclosing his experience. The Expedition Unknown host was born on 10 August 1977 in Boston area. His father was an expert deep-sea diver and would travel the world under the sea. It is fair enough to say that he inherited the adventurous gene from his father. And, he learned scuba diving right when he was ten years old. For the 44 years old’ educational part, he studied drama and archaeology at Tufts University. And his love for artifacts and action-packed exploration is pretty evident from what he does for the TV shows. The 6ft 2 inches tall host has the aura to take the viewer’s adrenaline to heights with his daring deeds. The star host of Expedition Unknown is also the executive producer of the show. The show was telecasted in the Travel Channel at the very beginning in 2015. Later it has switched to Discovery Channel, and it flows around the world as he explores some of the most enduring legends and mysteries of all time. Before Expedition Unknown, Josh was a host and co-producer for a somewhat similar program- Destination Truth, and in his exciting showbiz career, he has garnered a net worth of $3 million. Besides, relishing career success, he has celebrated some personal life delights as well on TV from discovering his life partner to celebrating the experience of being a father for the first time. Josh Gates Met Wife On TV And Married Her For Life; The Easiest Decision He Says! Josh met his wife, Hallie Gnatovich while working for Destination Truth. During that time she was a researcher for the show. It took them a moment to fall for one another. The duo got married on 3 September 2014 and Josh boasts that getting married to Hallie was the easiest decision he’s ever made. His wife must miss him big time as he is always out in the expedition and barely home. But as a professional marriage and family therapist, she knows the values that bind them together. She can hit off the distance at ease. One of the most memorable moments in Expedition Unknown has to be the phone call Josh’s wife made in his emergency satellite phone in the middle of shooting Secrets of Christopher Columbus to give him exciting news of expecting their first child. Read Also: Big Chief Talks Trouble With Wife! Cars Enthusiast Hinting Divorce? The married couple became parents to their first son Owen in February of 2016. The baby added a whole new chapter in Josh’s life making it more blissful than ever. When he grows old by the time, he shall have numerous chapters of adventures to pass down to his son.